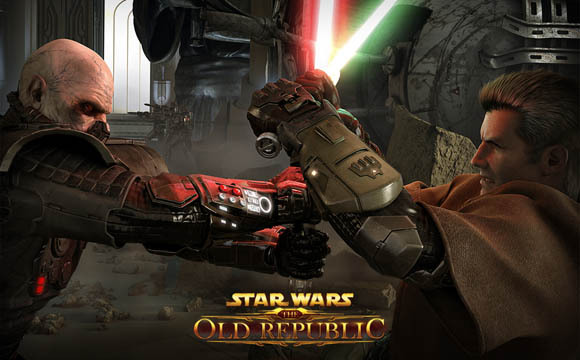 Most of you heard last week that Star Wars The Old Republic is going free to play. This really isn't a surprise since their subscriber numbers have slowly been dwindling. At this point it's hard for any quest based MMO to have a subscription model since they're immediately competing with World of Warcraft and it's 8 years of expansions and polish. Even if that game has a huge intellectual property, like Star Wars, behind it. When SWTOR was released I said that the only way I would play it is if they dropped the subscription. Now that there will be no subscription I will most definitely be playing. I don't know how much I'll like it, but I'll give the game a try. I really enjoy Bioware RPGs and would have loved for SWTOR to have just been a new single player RPG when it released. I never thought that it needed to actually enter the MMO space. If they had made KOTOR 3 I would have bought it on release day. Anyway, you can find all sorts of commentary about what SWTOR going F2P means, so I won't spend time diving into an analysis. I'll just say that I'm happy they've finally caught up to modern online financial models. Since the moment I saw SWTOR I couldn't help but think, "why would I pay a subscription for a single player game?" I'm glad they're going F2P. It means I'll play it. Yeah, it really feels like a single player game. I think a big part of it is their emphasis on story. Usually single player games are about story and MMOs are about multiplayer interaction. I always thought it was a weird choice for them to make this game an MMO. ...I'll just second everything you guys said here. ...and add that they would have earned some money from me if they released it as a KOTOR sequel. As it is, I'll probably just play it for free. Seems like an odd business move.